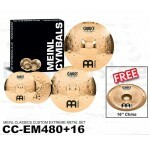 The Classics Custom Extreme Metal Cymbal Set includes: - 14” Extreme Metal Hihat, - an 18” Ext..
With the Classics Custom Extreme Metal from the Classic Custom Series the Franconian manuf..
Is your music heavy? 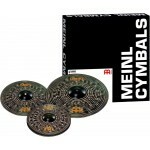 If you play hard rock, metal, or fusion, the cymbals in the Meinl Classics Cust..
Meinl Classics Custom Dark complete cymbal set: Complete cymbal set from Classics Custom Da..
Meinl Classics Custom Dark Cymbal Set: By using a B10 bronze alloy that has a higher conten.. 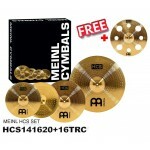 Included in the Classics Custom Double Bonus set with two FREE cymbals are 14" medium hi hats, 16..
Meinl's Classics Custom series are made in Germany using B10 bronze alloy for an explosive modern so..
By using a B10 bronze alloy that has a higher content of tin than the standard Classics Series cymba.. 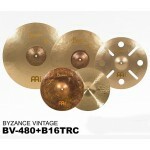 The very popular Classics Custom series made from B10 alloy is manufactured in Germany and works gre.. 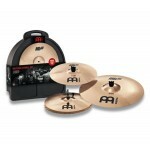 The bright sound of the B8 alloy makes the Classics serie ideal for almost every volume. 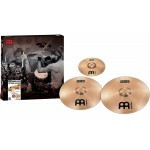 Perfe..
Mb8 Cymbals prove Meinl's long-time know-how and competence in manufacturing cymbals out of B8 bronz..
Meinl's MB10 Cymbals are made out of B10 bronze alloy. 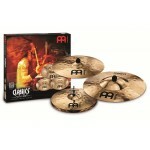 The fundamental sonic characteristic of this .. 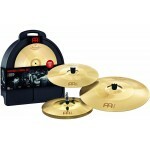 The Soundcaster Fusion cymbals combine two different finishes in one cymbal. 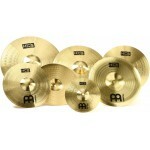 Unlathed, brilliant fin.. 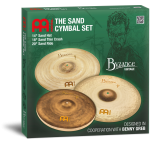 Description: Meinl Cymbal Byzance Vintage Sand Cymbal Set 14" 18" 20" + 16" (Set). 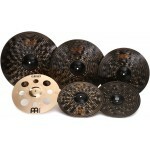 The matched.. 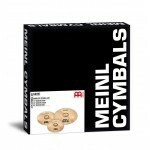 If you're into Benny Greb's sound, you're going to want to take a look at Meinl's Byzance Vintage Sa..
Meinl BCS Cymbals are made from MS63 alloy for a warm, harmonic and balanced sound. 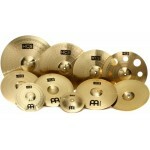 The 14" hi-hats .. 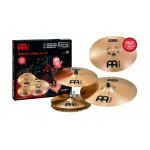 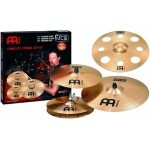 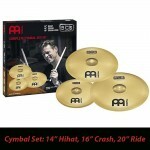 Description: - Includes a 14" hi hat pair, 18" ride cymbal, and 16" crash - Made from MS63 alloy..
Meinl Cymbals HCS141620 HCS Cymbal Box Set Pack with - 14-Inch Hi Hat Pair - 16-Inch.. 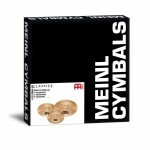 The Meinl HCS Ultimate Cymbal Set provides a wide palette of cymbal tones in a convenient, affordabl..
Providing you with a massive collection of warm, harmonical cymbals, the Meinl HCS Super Cymbal Set .. 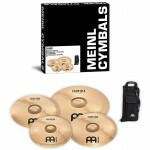 The new MEINL HCS cymbal set-ups and individual cymbals are a cymbal line that combine quality ..
Meinl HCS141620 Complete Cymbal Set Includes HCS20R 20" HCS Ride: Clean, warm sound..
Set Includes: 14″ MCS Medium Hi Hat Cymbals – Medium weight cymbal with a wide dynamic spectru.. 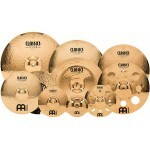 Include : - 14" hi hat pair - 16" medium crash - 20" medium ride - FREE 16-inch Trash Cr.. 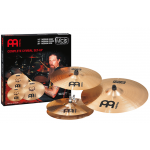 Description Includes 16″ MCS Medium Crash, 18″ MCS Medium Crash, and a FREE 10″ MCS Splash F.. 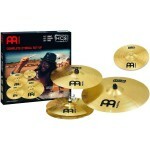 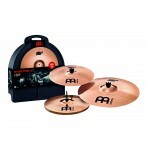 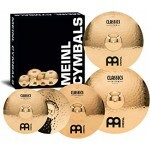 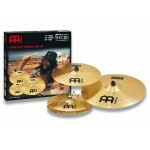 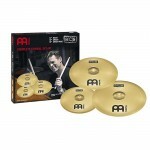 The Meinl MCS Cymbal Pack features cymbals expertly developed with new designs. 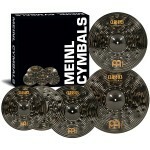 The Meinl MCS cy..